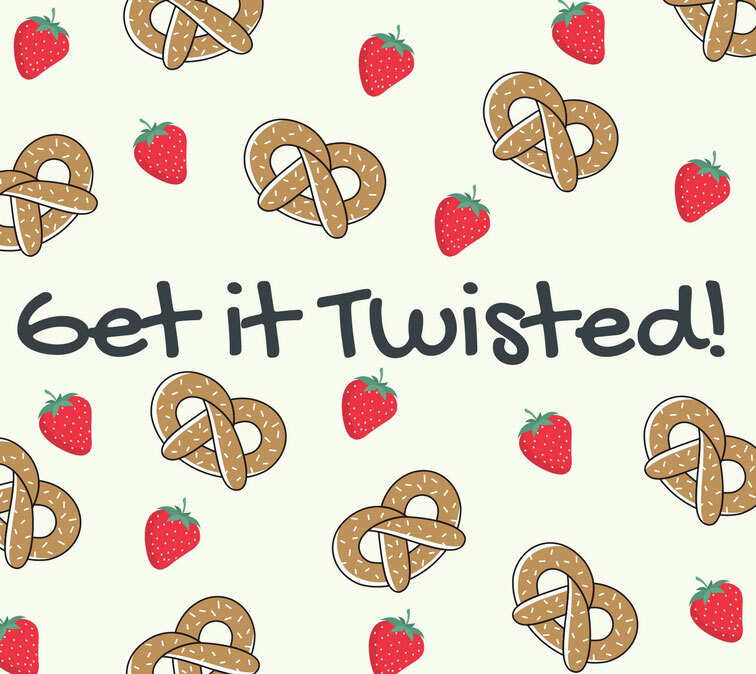 We missed National Pretzel Day (April 26th) by a few weeks, but any day is a good day to pair pretzels with berries. We think they’re a match made in taste bud heaven. 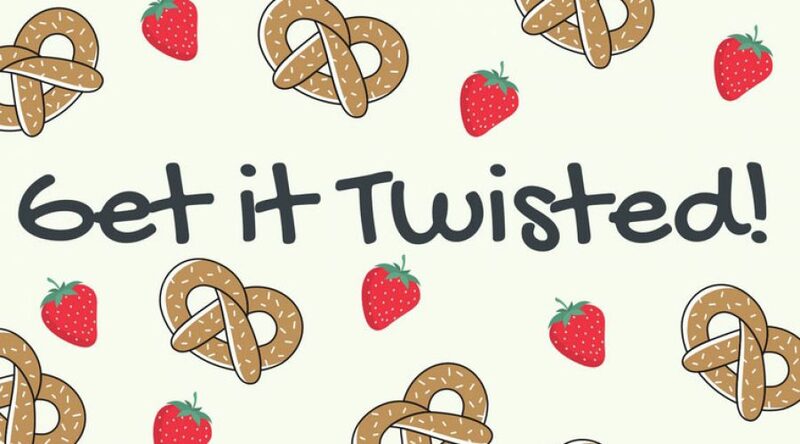 Here are some of our favorite recipes, but please feel free to share your own ideas in the comments if you know of any other great pretzel-berry marriages. 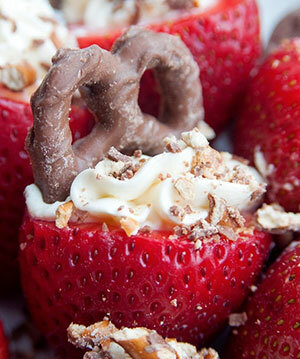 You can’t mention strawberries and pretzels without at least talking about the Strawberry-Pretzel Dessert Salad, probably the most classic and beloved recipe combination there is. Many of us will remember this dish from the potlucks and parties of our childhood. Nostalgia is definitely part of the appeal, but when the recipe is done well, this dish is also just really good. This take on it, from The Recipe Critic, is no frills and all yum. If you’re feeling a little adventurous, try making this version with pecans by Tonia Larson from The Gunny Sack. 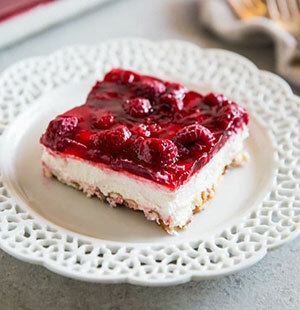 Or make it with raspberries instead of strawberries, like they did with this version from Culinary Hill. In fact, don’t be afraid to make it a mixed-berry event! Blackberries, blueberries, boysenberries, dewberries, cloudberries: there are endless flavor combinations. 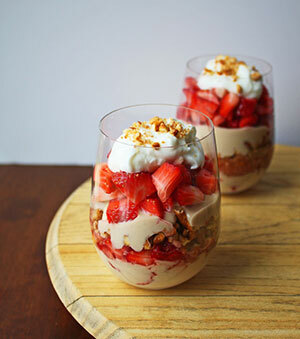 If you want the above recipe with a little less guilt, this parfait from Dessert for Two is a nice compromise. It blurs the line between breakfast and dessert by swapping out the jello and cool-whip for yogurt. There are four additional teaspoons of sugar in the recipe, not including what is already in your yogurt, so it’s probably best as an occasional splurge for days when you want something a little special. Randa at The Bewitchin Kitchen is the one to thank for this unique, fun, and delicious party pleasing appetizer. She uses Flipz© chocolate-covered pretzels, but you can also substitute with regular pretzels, or make your own dipped pretzels using white chocolate, peanut butter, butterscotch, or other flavor melting chips. These take no time to make, so they’re a great dessert-option during your busy work week, but they’re also beautiful and colorful enough to show off at your next dinner party or potluck, too. This dip from Dinner Then Dessert is destined to be your next favorite snack, whether you pair it with a fresh, homemade, soft pretzel or next to a bowl of store-bought crunchy ones. It’s also extremely versatile. Try using it as a spread on a ham sandwich, mixed in with baked chicken, or served over cream cheese as a super fancier dip. If you want to make an easy “jam” with your fresh Well•Pict raspberries, combine a clamshell with about a cup of sugar, ½ a lemon, and a pinch of salt in a large skillet and cook until the mixture starts boiling and the sugar is dissolved. From there, reduce heat and simmer for about 12-15 minutes, then strain with a fine-mesh sieve to your preferred seed consistency. Store the mixture in an air-tight container and cool before using. 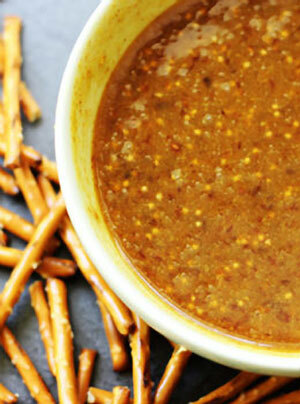 Whatever you don’t use for this recipe will last about a month in the refrigerator.